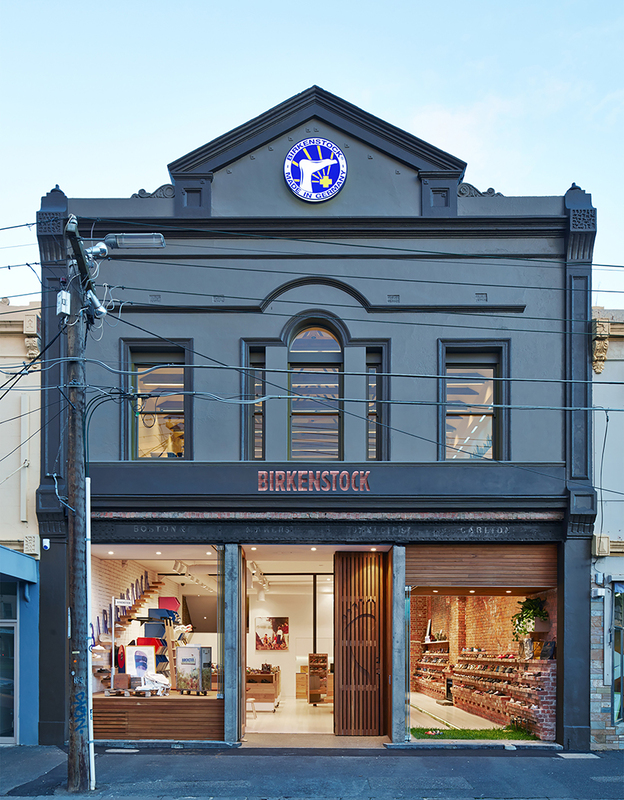 german footwear company birkenstock has settled their australian headquarters in the area of clifton hill in melbourne. the new headquarters boasts a design that has been developed with sustainability as the main focus, while following birkenstock’s core values; honesty and integrity, sustainability, quality and craftsmanship. 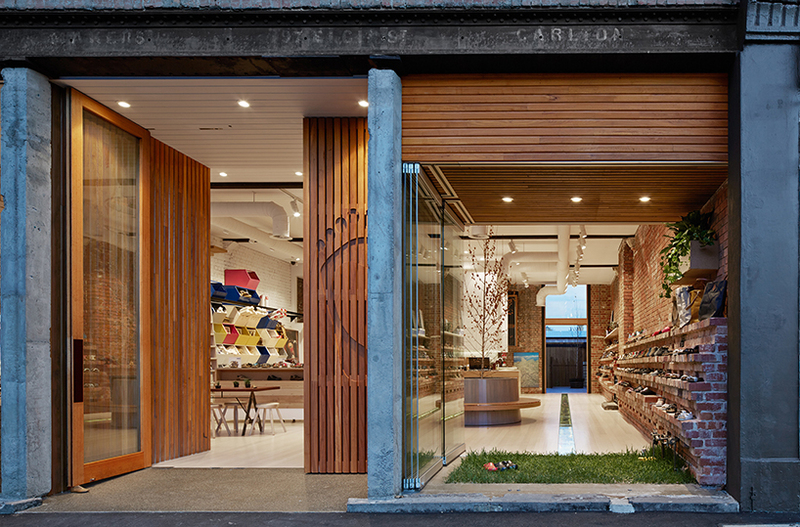 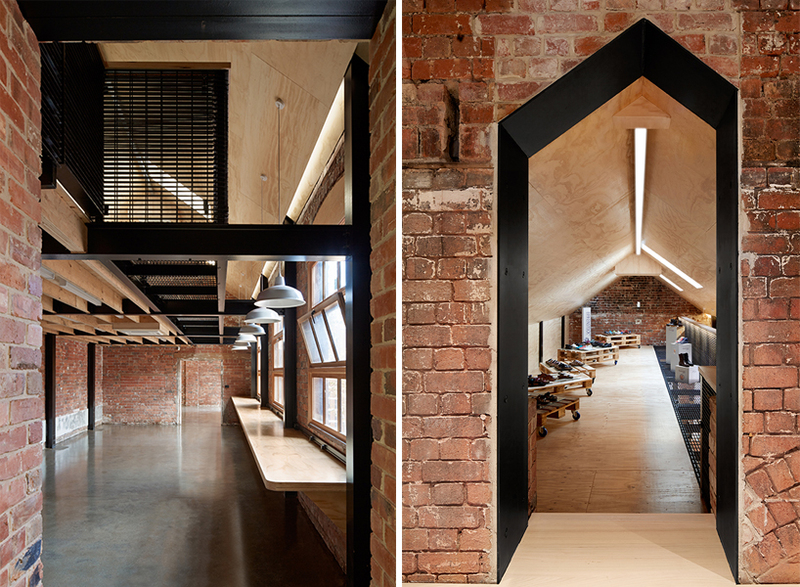 occupying a refurbished two-storey heritage shop façade that can be completely opened to the streetscape, the birkenstock HQ was conceived by the architects at melbourne design studios (MDS). 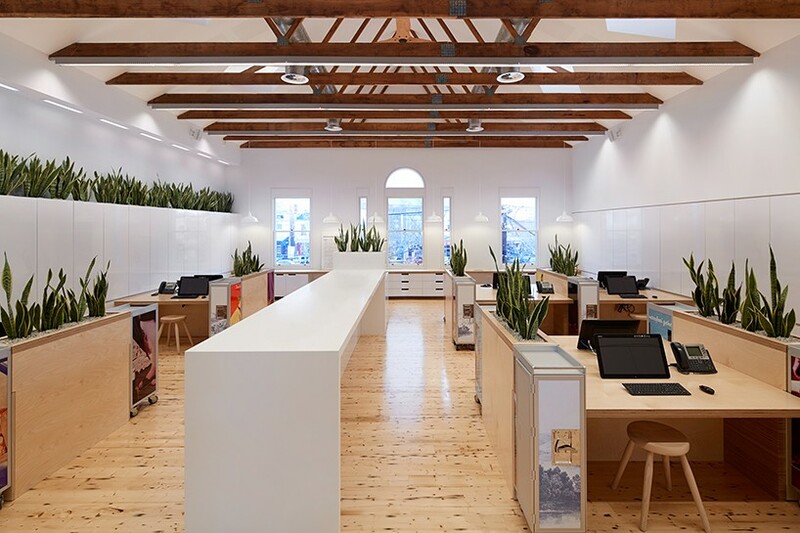 the double façade with two layers of operable glazing open onto a living grass floor and a deciduous tree to invite customers into the rustic interior which continues to incorporate greenery into all-aspects of the interior. 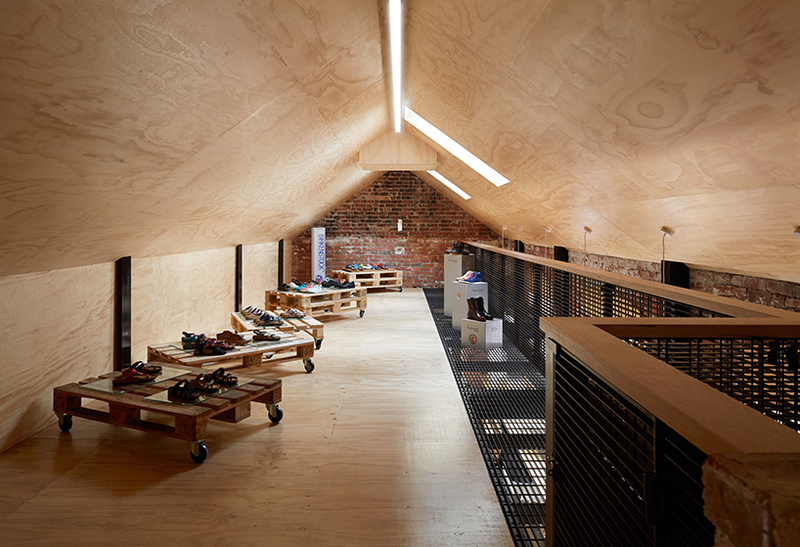 in total, the building is composed of a retail shopfront, e-commerce, wholesale, offices and showrooms, workshop, courtyard and warehouse with mezzanine. 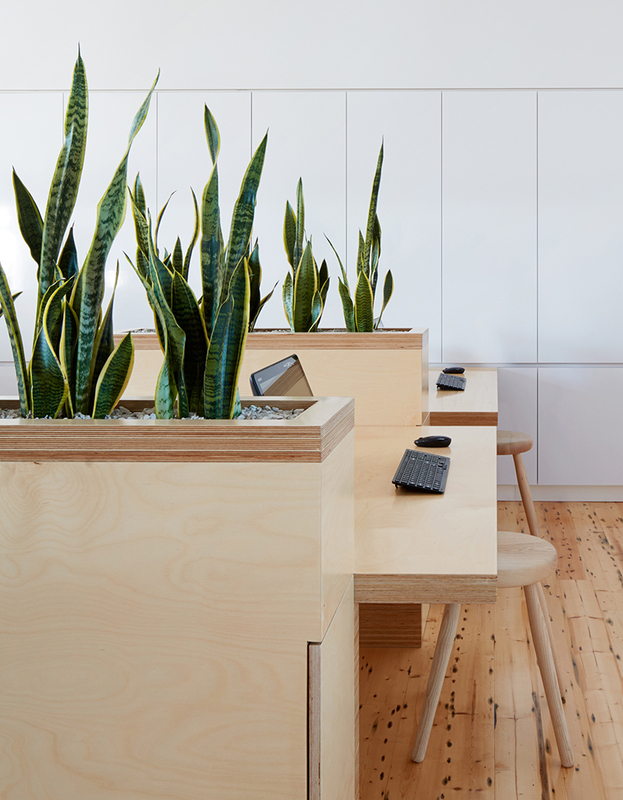 throughout, the new headquarters apply techniques to promote a healthy and comfortable working environment for the birkenstock employees. 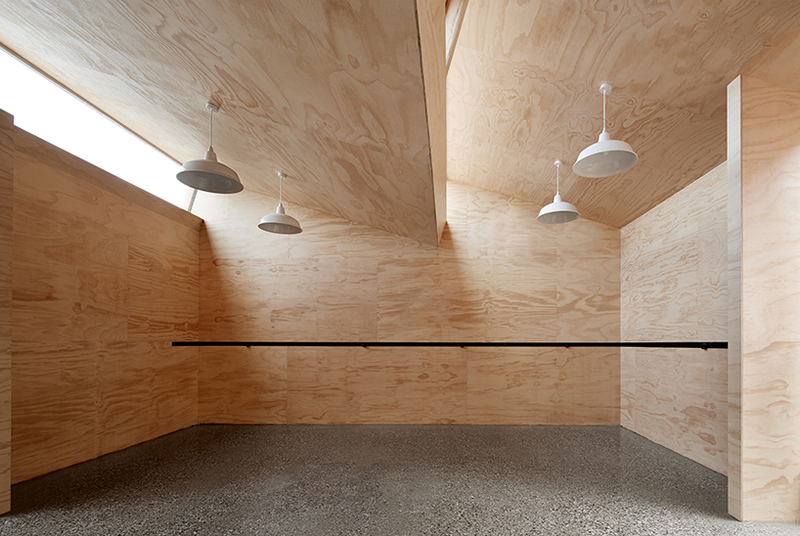 low VOC materials, sustainable forested and recycled timber used, carbon neutral target, carefully positioned skylights to maximize southern light are all techniques used. 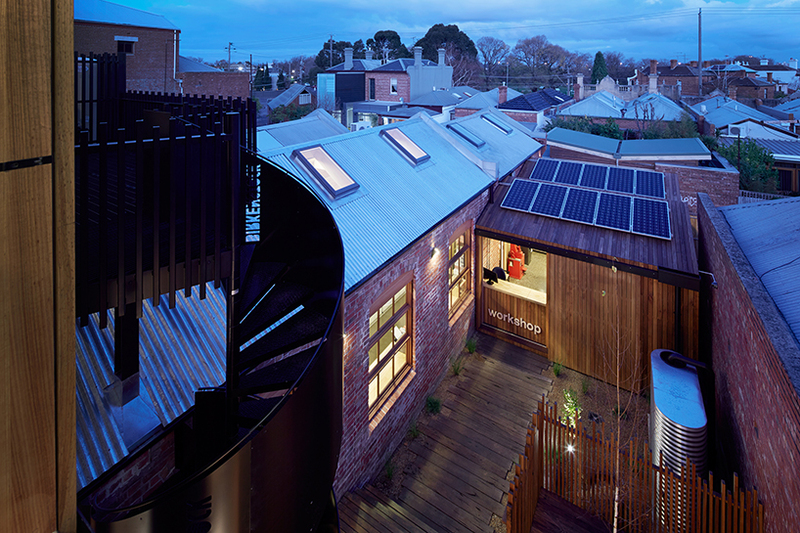 at the center of the building, a courtyard modeled as an australian landscape featuring timber sleepers and a water tank provides a break-out space for socializing.